Not as good as we did in the previous level, but not too bad. For as simple as it is, Frozen Free Fall is very addictive. 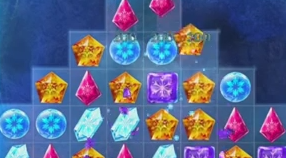 Have a look at how we were able to beat Level 3 with a fairly decent score.